This is one of the largest homes in The Estates with contemporary upgrades and finishes! The floor covering is up-to-date and durable, the millwork is upgraded and the floor plan is the "best" for a crowd! There is a guest room on the main floor with a double shower. The upstairs has a large landing with room for an exercise machine or two! All of the rooms are large and there is a double door bonus room plus 3 bedrooms and a massive master suite with cathedral ceilings and spa sized bath. Lot Size: 0.11 Acres / 4729 Sq. Ft. Directions:From Lake Tapps Parkway E, head South (behind Hagan's Market) on Lakeland Hills Way, Right on 22nd Street E, home is on the Right. SchoolsClick map icons below to view information for schools near 16017 22nd St E Lake Tapps, WA 98391. Lake Tapps Real Estate at 16017 22nd St E Lake Tapps, WA 98391. Description: The real estate listing at 16017 22nd St E Lake Tapps, WA 98391 with the MLS# 1404699 has been on the Lake Tapps market for 82 days. This property located in the Lakeland subdivision is currently listed for $480,000. 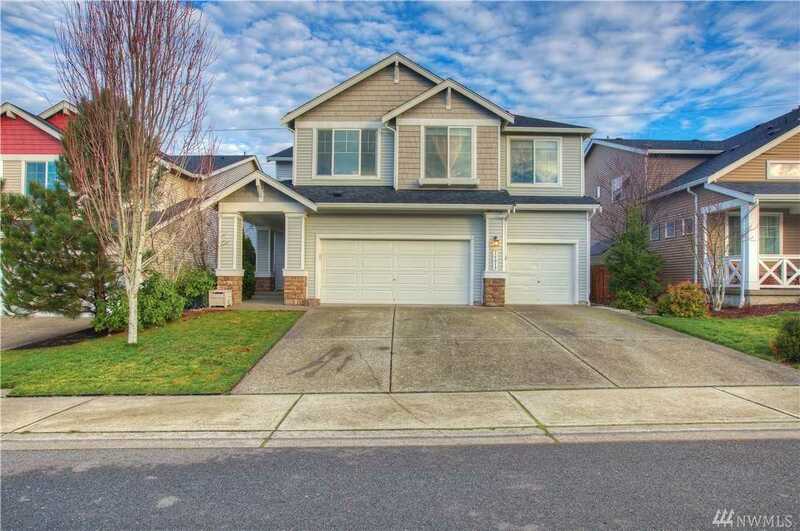 You are currently viewing the property details of the NWMLS listing at 16017 22nd St E Lake Tapps, WA 98391, which features 5 bedrooms and 3 bathrooms, and has approximately 2958 sq.ft. of living area.